Canned hunting lions to Madame X Project!!! 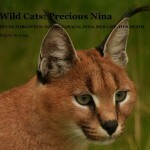 Behind the scenes we have several projects either started by us in Wild Cats World or supported by us. We already informed you a while ago about the celeb, Madame X, that asked our help to make her dream (and the one of some lions and cheetahs) come true. She has lots of influence, land and well yes, the funds, we support her with the knowledge and suggestions how to make this project work. Canned Hunting in South Africa is a big issue…..and even though there’s still a lot of people who believe in the fairytale to bring (captive) lions from Overseas (like Europe) to South Africa for the so-called promised release in the wild. Well sorry people, this is never going to happen! Bringing water to the sea isn’t going to help. There’s a lot of lions in South Africa waiting on the hunting lists, help them instead of bringing more lions to SA…ending up in a private project or sanctuary (1 ha is the average size you can offer in SA) in SA so you might as well keep them the same way in e.g. Europe. In South Africa you cannot release captive born lions and cheetahs without 100% certainty of the family tree or studbook. So no circus or zoo lion will ever be released. We in our captive SA project, rescued 2 lions out of Canned Hunting before, and after all the hassles (headaches) that caused us, we decided lions are no go for our SA project, but of course we still fight for this species like for all wildcat species, big or small. 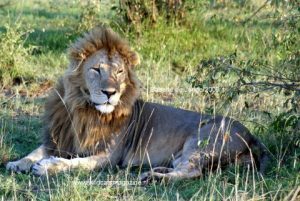 So when Madame X (a celeb who doesn’t want her name revealed) offered this chance of a lifetime, we started searching for lions to start a nice Pride, for a long life in the best of circumstances with lots of space (talking to start with about 1000 HA and more). Negotiating with Canned Hunting breeders is so much easier when a celebrity is involved. She just confirmed us today 5 lions were taken from the Canned Hunting List and offered to the Madame X project: 2 male lions (brothers) and 3 females (sisters). No need to mention that this project will be ethical in every way, so no BREEDING involved! 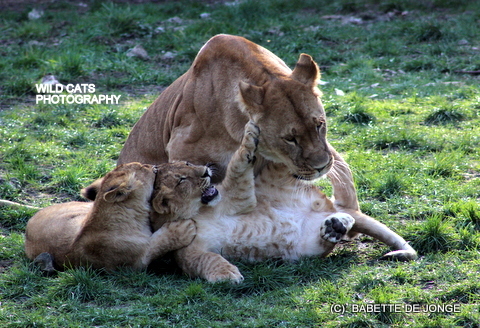 It is a start…..
As for cheetahs we aim for (hopefully) our own off spring to give the same future to as these lions. As for the problems mentioned above, the lions will not be kept in SA but in a European country with the right climate and equal space. We hope if this project seems to turn out 100% to the satisfaction of Madame X we can mention to her starting with a similar project for snowleopards. So much more opportunities when there’s enough funds. Celebs usually are not very interested to help out projects for endangered cats but when they ask our help to be part of a project this huge, it is a big compliment. You will understand we have to be very discrete about this project so sadly we are not able to give you all inside info, but just to share with you the best news that at least another 5 lions are safe, ready for a wonderful future!